Dreamweaver Menu Extension 5.7 - Download Win Apps. Create a web menu navigation in Dreamweaver using Vista Buttons extension!. 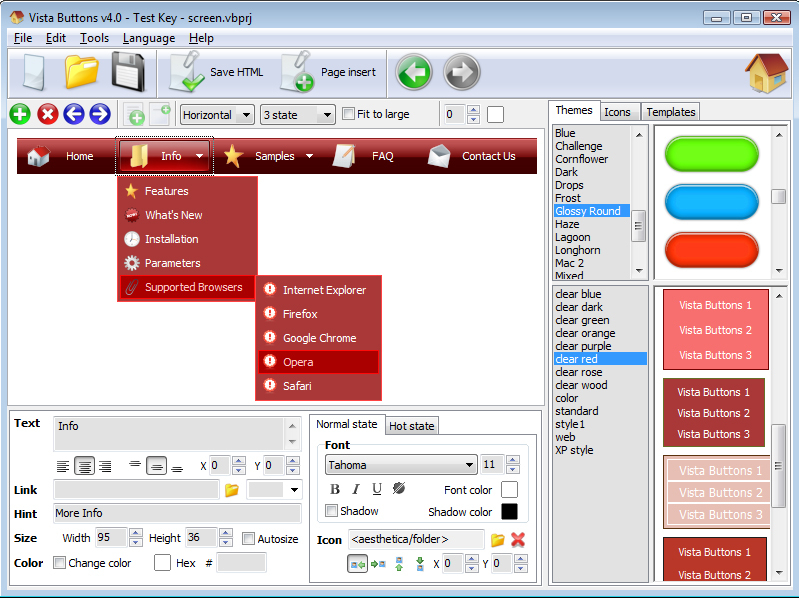 Vista Buttons Menu Extension for Dreamweaver allows you to create fast, neat, and eye-pleasing menu navigation, directly in Dreamweaver. Create, modify, add css menu to your website without leaving your favorite web design editor! Fully customizable appearance! Use one of the 650+ website buttons, 130 submenu designs, 8000+ icons, 125 ready-made samples, or create your own buttons using the special tool - Theme Editor. Flexi CSS Layouts is a Dreamweaver Extension that helps you create browser compliant table-less web pages with ease. Create custom CSS layouts in Dreamweaver with ease. 55 editable CSS templates included. Edit CSS settings for layout elements.